Vietnamstay provides you these Cambodia travel tips for your perfect Cambodia vacations. A passport valid for 6 months is needed to enter Cambodia as well as a visa. Cambodia has a tropical climate that is warm and humid. In the monsoon season, abundant rain allows for the cultivation of a wide variety of crops and the year round tropical climate makes Cambodia ideal for the tourism industry. Check here for detailed information on the climate in Cambodia. There are no officially required vaccinations. Travelers are advised to check with their doctor or travel immunization clinic regarding the advisability of inoculation against typhoid, tetanus, hepatitis A & B and malaria. It is recommended that all travelers take out comprehensive Personal Travel Insurance to cover personal belongings, or in case of an accident or illness, etc. The usual voltage is 220V, 50Hz. A two-pin (ungrounded) plug is more popular than the three-pin one. If you have any devices needing a special outlet, please bring its adapter kit. The best investment is a universal AC adapter, which will enable you to plug it in anywhere without damaging the appliances. The local currency is the Riel, although the US dollar is widely accepted throughout the country and in all major markets. In recent years the rate of exchange has been floating at around USD1 = 4,000 Riels. Some most-used Riel denominations include: 500, 1000, 2000, 5000, 10000 notes. Light clothing made from natural fibers is the best clothing for the region. Warm clothing is needed for the months of December and January, and a light jacket is often necessary in the lowlands. Warmer clothing may be needed if travelling in the highlands. Most towns have markets where you can buy a warm jacket for a fraction of the price you would pay at home. Cambodia is a Buddhist country and as for other Buddhist countries, it is seen as inappropriate to dress in a provocative way, such as wear beach attire in the city. It is especially true when visiting pagodas as women shall wear clothes that cover their skin from their shoulders to their knees. Also, woman shall not touch the monks or hand any item directly at them. These are important travel tips for Cambodia that you shouldn't ignore! Local time is GMT + 7 hours. Most business offices are open from 8:00 a.m. to 12:00 p.m. and from 1:00 p.m. to 5:00 p.m., Mondays through Fridays. Banks generally operate from 8:00 a.m. to 3:00 p.m. Most private companies work on Saturdays, while government offices are closed. Khmer is the official language. English and French are second languages. It is easy and cheap to access the Internet and emails in Cambodia. There are a plenty of internet cafes and many are open until late at night. Currently the charge is between 50 cents to 1 USD per hour, and falling. There are two gateways for international telephone access from Cambodia by dialing 001 or 007 followed by the country code and the phone number. There are also four cellular phone service providers offering convenient communication via the GSM system, therefore most of local people now carry mobile phones. International Direct Dialing (IDD) calls and faxing are also available. Flight times may vary from day to day. Schedules are subject to change without prior notice. You should allow an hour at the airport for the check-in process prior to flight departure. Baggage allowance is 20kg per person in economy class. Hand luggage should not weigh more than 7kg. Airport departure tax for domestic and international flights is included in the airfare issued. Phnom Penh, Siem Reap, and Sihanouk Ville are three special places for connoisseurs of Khmer food. 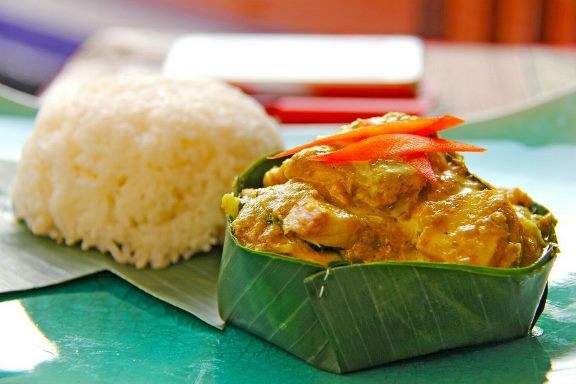 Rice and fish, together with an array of herbs, sauces, and spices, are the typical Khmer cuisine. Curries and soup with beef, pork, poultry, and seafood can be bought from vendors along the streets. Cuisine from all over the world is also found in Cambodia with over 100 restaurants such as European, American, Mexican, Indian, Chinese, Japanese, Thai, Korean, Vietnamese and many others, so visitors will have a lot of choices here. The Krama (a traditional cotton scarf) is one of the most typical Cambodian souvenirs. This multi-purpose garment, similar to a sarong, is used for bathing, cleaning, protection from the sun and other purposes in the Khmer life. It is also one of the national symbols that distinguishes the Khmer people from their neighbors. Both cotton and silk Krama are available throughout local markets and souvenir shops. Ask the seller to demonstrate the proper way to wear the Krama so that you may carry and wear it yourself while sightseeing for a more elegant look.